Now available in Español - the first of its kind for Spanish-speaking technicians! 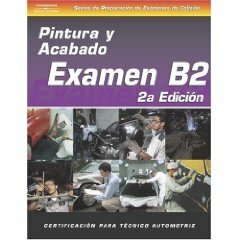 These books are intended for any Spanish-speaking automotive technician who is preparing to take an ASE examination. The series includes questions that relate to each competency required for ASE certification. In addition to a multitude of questions, the reason why each answer is right or wrong is explained, along with task lists and overview, test-taking strategies, and more. Cada manual contiene muchas preguntas y la razón por qué cada respuesta es correcto o no correcto es explicado. El manual contiene una lista de tareas, la vista general, estrategias para tomar el examén y más.